Dr Gracia Chong is a specialist Gynaecologist and Advanced Endoscopic Surgeon. Dr Chong completed her medical and speciality training in Ireland (Trinity College Dublin), and in the Hunter Region. She is a Fellow of the Royal Australian and NZ College of Obstetrics and Gynaecology with over 10 years of experience in healthcare for women. She believes in providing care that is tailored to each woman’s needs, and offers both consultation and advanced surgery, including minimal access (keyhole) surgery. 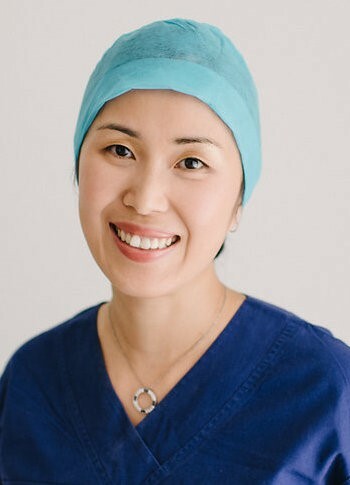 Dr Chong has an interest in gynaecological ultrasound, endometriosis and urogynaecology, and is also an accredited colposcopist with the C-QuIP programme to manage any pap smear abnormalities. She has a Masters in Clinical Medicine with the University of Newcastle and maintains a passion for teaching in her role as a Conjoint Lecturer with the University of Newcastle. Dr Chong’s main consulting rooms are located within Hunter Gynaecology, Charlestown, Newcastle. Surgical procedures are performed at Warners Bay Private Hospital and Lingard Private Hospital. Languages spoken include Cantonese and Mandarin.